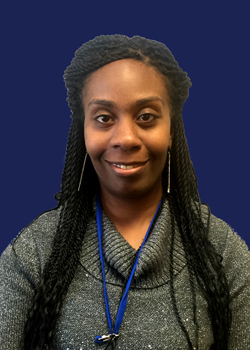 Monique Bell is a Licensed Marriage and Family Therapist (LMFT) currently working towards her clinical license. In 2008 she received her undergraduate degree from Wichita State University with emphasis in Sociology, Psychology, and Criminal Justice. In 2013, she received her Master of Science in Marriage and Family Therapy from Friends University. She has training and experience in working with individuals, couples, and families with a variety of concerns such as relationship issues, depression, anxiety, trauma, life stressors, grief and loss, self-esteem, anger management, phobias, personal empowerment, personal development, parenting, and relationship concerns. She also provides pre-martial counseling, couples counseling, and family counseling. Monique works from an integrative and holistic approach working to connect the brain, mind and body through a collaborative approach. She is currently trained in EMDR (Eye Movement Desensitization and Reprocessing) therapy which has shown to be effective in working with individuals who have experienced PTSD and other trauma related symptoms. EMDR has also been helpful with anxiety and other concerns.